Valentine Day is just around the corner! Appreciate your loved ones. Come up with a message that shows you care. 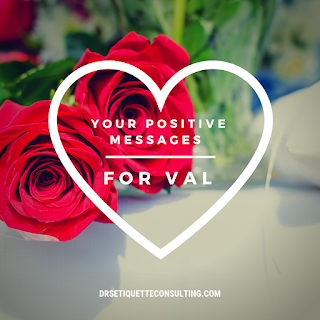 A simple and quick way to spread your love is to grab your phone or note and write a positive statement on them. Then attach the note anywhere in the office, in the car rear-view mirror, on the fridge door or the headboard of your bed just where it can be easily spotted. *Walking down the memory lane and looking at where we stand today, I know that our love will always grow with renewed strength. *Meeting you has been an awesome experience, keep making a habit of loving me. *I give you this gift: all of my heart. It will always be yours. *I’m glad you agreed to be the reason I smile today. *A meeting can change an entire life for good or bad. Yours influenced my life positively. You are the reason I am who I am today. Our friendship is cherished today and always. *In case you forget in the flood of work activity, I want you to know I love you on this special day and always. *The best gift of love comes from the memories we’ve made together and the love we’ve embraced. You are truly a special person to me. Do stay in my heart forever. *Although our love is going through a tough time right now, you need to hear this from me. Everything we’ve been through together, both good and the bad, have a positive and profound impact on our relationship than the challenges we are facing. My affectionate and ambitious partner, I love you today and always.